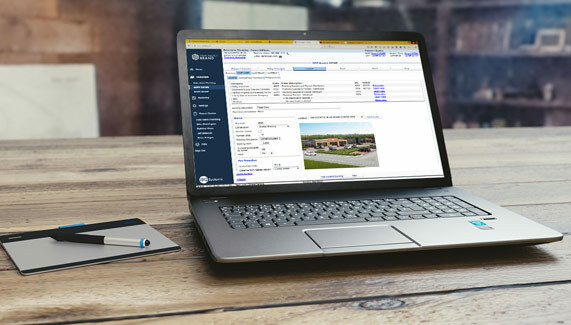 IBQ is excited to announce the launch of our Commercial Comparative Rater for Idaho and Montana. More states to follow soon! 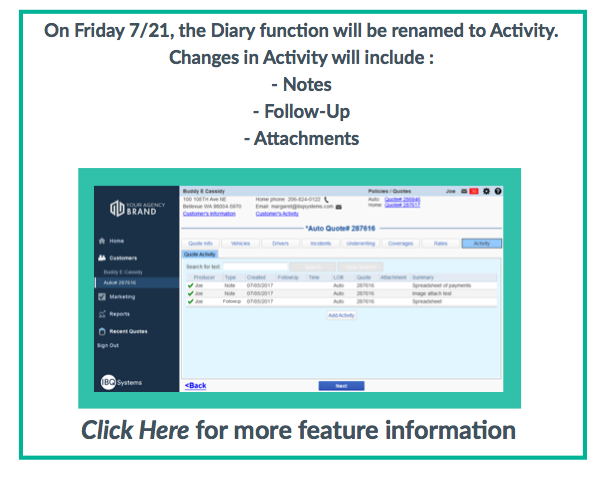 The Diary function has been renamed to Activity. These changes will effect Notes, Follow-Up and adding Attachments. 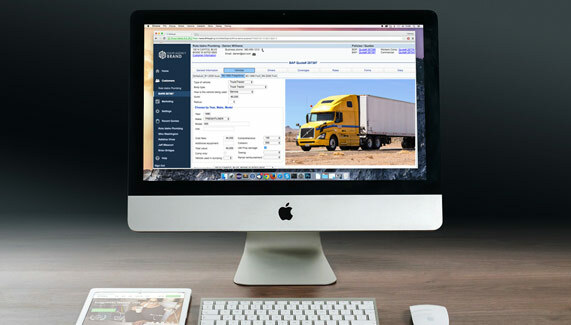 Outlook Integration, customize policy level fees, and easy access to SR-22’s. Why aren’t there comparative raters for commercial lines? You could probably list plenty of reasons, but it boils down to two main issues: corporate culture and a lack of technology systems. IBQ has spent the last five years studying how agencies process their commercial business. From new business to renewal quoting, the glaring issue is apparent; the processes are wildly different from agency to agency. The varying offerings management systems are attempting to employ has a direct impact on this fragmentation, but what is truly mindboggling is the disparity we found in the processes amongst agents/csr’s within the same agency….